The 2018-19 Metropolitan Opera Radio Broadcast season continues with the network broadcast premiere of the gripping psychological drama Marnie, an original Met commission by composer Nico Muhly and librettist Nicholas Wright. 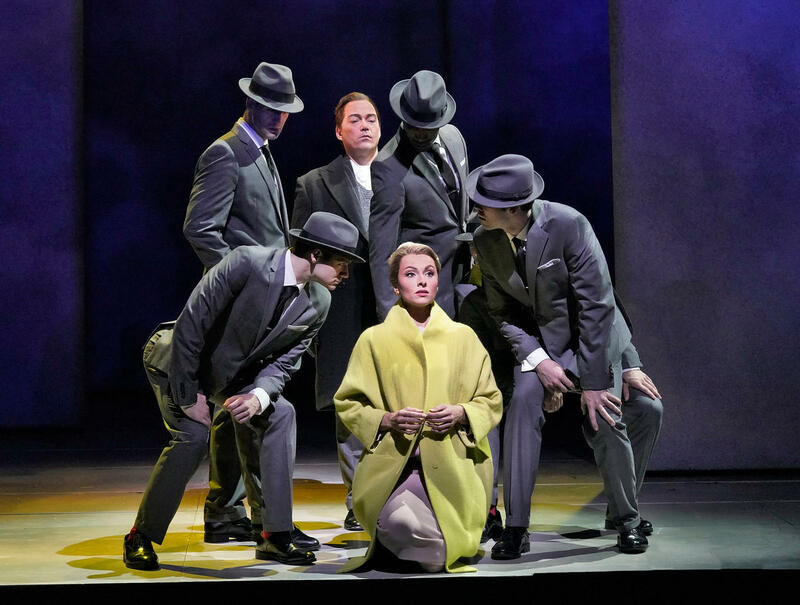 Mezzo-soprano Isabel Leonard stars in the title role of a woman trapped in a cycle of crime and deception. Baritone Christopher Maltman is Mark Rutland, who blackmails Marnie into marriage, and countertenor Iestyn Davies is Mark’s brother Terry. Mezzo-soprano Denyce Graves is Marnie’s manipulative mother, and soprano Janis Kelly is Mrs. Rutland. Based on Winston Graham’s novel, which also inspired the classic Alfred Hitchcock film, Marnie had its North American premiere this season at the Met, conducted by Robert Spano in a production by Michael Mayer. Listen to the live broadcast on Classical IPR on Saturday, January 26 at 1:00 p.m. ET.